I have some good news for you. That pain you’ve been feeling at the pump these past few years isn’t likely to be as severe this summer. Gas prices appear to be headed lower for once. According to the Energy Information Agency, or EIA, gasoline prices are projected to be an average of $3.63 this summer, the lowest since 2011. Unfortunately, that’s nowhere near the $2.76 we were paying on average in 2010, but it’s still a two-year decline. With our economy still just above stall speed we need every break we can get. Some of you might be thinking that $3.63 is way to high to be paying for gas. You’re probably one of the lucky ones that lives in a state with cheap gas prices. Don’t worry, you should enjoy the same savings as the rest of the nation. It is interesting to think about how prolonged pricing impacts the perception of what’s considered a cheap price. 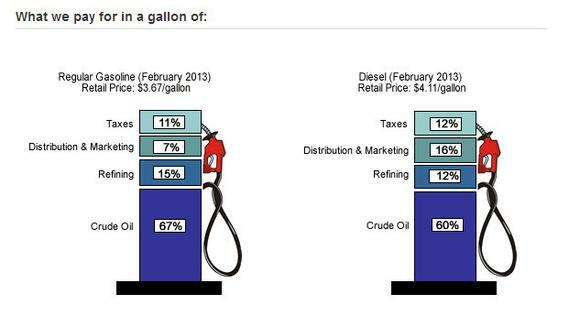 We’re pretty easily conditioned to accept higher gas prices, even if we do so begrudgingly. We’re even overjoyed when prices dip back to a point where we once complained about them being too expensive. I remember back when I first started driving and the price of gas was $0.69 a gallon. I’m only 33, so that’s not ancient history. With gas locally up around $3.70 a gallon, my perception is that anything less than that price is a bargain. I know I shouldn’t complain; I’ve cut my gas consumption by 75% in the past year as I’m now driving a lot less than before. Still, there’s something appealing about dropping gas prices which makes me wonder, how much further prices could drop? One of the driving forces in pricing is demand. On average, Americans as a whole are like me and simply are not driving as much as they had in the past. This has created quite the structural shift in the gasoline market, to the point where a lot of the gas refined in this country is disappearing beyond our borders. The other structural shift is that we’ve actually become much more fuel efficient. What’s interesting is that part of the EIA’s forecast actually includes a rise in travel this summer. However, overall consumption is projected to be down 0.2% as fuel efficiency is offsetting that increased travel. You have to hand it to the auto industry: Its building cars that are not only fuel efficient; they are also in demand. 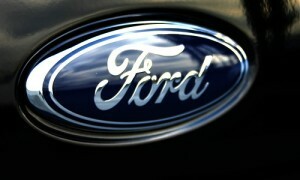 Ford Motor Company (NYSE:F) recently reported its best hybrid sales quarter ever. Both its Fusion and C-MAX hybrids are attracting new customers to the brand who bought more than 21,000 of Ford’s hybrids last quarter. Meanwhile, Toyota Motor Corporation (ADR) (NYSE:TM) recently reported that it has now sold over 5 million hybrids since 1997. Both companies are enjoying the financial success of selling more fuel-efficient cars to help alleviate our pain at the pump. Falling oil prices help cut the price of gas, but oil prices can only fall so far before the drop impacts supply. Say what you want about oil companies, but oil is expensive to extract, and without the industry investing billions, gas would be a whole lot higher.